But a study from Harvard Medical School published in The New England Journal of Medicine shows that over the last decade these lifesaving tools may have disproportionately misdiagnosed one cardiac condition — hypertrophic cardiomyopathy (HCM) – in black Americans. HCM, which affects one in 500 people, is an often-asymptomatic thickening of the heart muscle that can spark fatal arrhythmias in seemingly healthy young adults. The notion that genetic tests could misread benign genetic alterations as disease-causing mutations is not entirely new. But this study is believed to be the first one to trace the root of the problem to racially biased methodologies in early studies that defined certain common genetic variants as causes of HCM. Indeed, the analysis reveals that in the case of HCM, the false positive diagnoses stemmed from inadequately designed clinical studies that used predominantly white populations as control groups. White Americans harbor far fewer benign mutations on several genes implicated in HCM than black Americans. The higher rate of benign alterations in the latter group can cause test results to be misread as abnormal, the researchers say. Using statistical simulations, the HMS team demonstrated that including even small numbers of black participants in the original studies would have improved test accuracy and, consequently, helped avert some of the false-positive diagnoses. The findings, the researchers say, highlight the importance of interpreting genetic test results against diverse control populations to ensure that normal variations of genetic markers common in one racial or ethnic group do not get misclassified as disease-causing in another. The team says their findings point to a pressing need to re-evaluate decades-old genetic studies by using new racially diverse sequencing data. “We believe that what we’re seeing in the case of hypertrophic cardiomyopathy may be the tip of the iceberg of a larger problem that transcends a single genetic disease,” said study first author Arjun Manrai, a research fellow in the Department of Biomedical Informatics at Harvard Medical School. “We hope our study motivates a systematic review of this issue across other genetic conditions. Aside from the emotional toll that a genetic misdiagnosis can take on individuals and families, the researchers say their findings represent a cautionary tale with a broad relevance to geneticists, clinicians and policy-makers alike. In the current study, the team analyzed more than 8,000 DNA samples stored in three national databases — the National Institutes of Health’s Mendelian Exome Sequencing Project, the 1000 Genomes Project and the Human Genome Diversity Project. Five genetic variants — each of them benign — accounted for 75 percent of all genetic variation across populations. However, the team found, these five mutations occurred disproportionately in black Americans. Between 2.9 and 27 percent of black Americans harbored one or more such variants, compared with 0.02 to 2.9 percent of white Americans. Next, researchers examined records of more than 2,000 patients and family members tested at a leading genetic laboratory between 2004 and 2014. 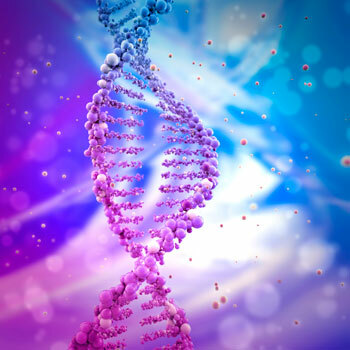 Seven patients received reports indicating they harbored disease-causing mutations that were subsequently reclassified as benign. Five of the seven patients were black, and two were of unspecified ancestry. Researchers say it remains unclear how many of the seven patients had been re-contacted to communicate the change in test results. The investigators caution that test results from a single genetic lab are not necessarily representative of the scope of the problem nationally, but say their findings likely point to a discrepancy that goes beyond a single laboratory and a single condition. To trace the root of the misclassifications, researchers reviewed the five original studies that shaped early understanding of genetic variants and their role in the development of hypertrophic cardiomyopathy. All of them, the researchers found, analyzed small population sizes, and none indicated that black people were included in the control groups. But, the investigators add, even small studies can avert misclassification of genetic variants as long they include racially diverse populations. Using statistical simulation, the team showed that a sample of 200 people that included 20 black participants would have only 50 percent chance of correctly ruling out a harmful mutation. The same sample would have more than an 80 percent accuracy if a third of patients were black and more than 90 percent accuracy if half of them were black. Investigators say the newly created Exome Aggregation Consortium — a compilation of data from various large-scale sequencing projects that includes DNA from more than 60,000 individuals — is well-powered to discern between harmful and benign mutations even for relatively rare genetic variants and should help in the reanalysis of decades-old data. The latest clinical guidelines urge physicians to interpret genetic test results by cross-referencing them against racially matched controls. However, with expanding efforts to sequence DNA from various ethnic and racial groups, researchers say more genetic variants will be reclassified in the next decade. Interpreting the meaning of test results within the context of such rapidly evolving knowledge will pose a serious challenge for clinicians. One way to address the problem, the HMS team says, could be the use of point-of-care risk calculators to help clinicians and genetic counselors more precisely gauge the significance of a given genetic variant. Such risk calculators would use algorithms that incorporate statistical probability, race, ethnicity and family history to help sift variant noise from truly pathogenic mutations. “Ensuring that genomic medicine benefits all people and all populations equally is nothing short of a moral imperative, not only for scientists and clinicians but for political and health policy powers that be,” Kohane said.